Saturday 1st and Sunday 2nd June 2019 . From midday to 11pm - Tickets must be exchanged for a wristband. 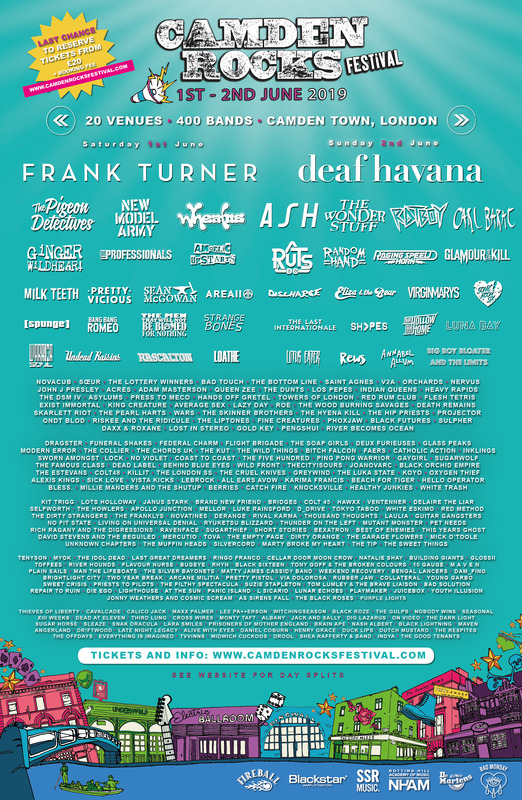 See www.camdenrocksfestival.com for info. Camden Rocks Festival. An independent urban festival showcasing 400 of the best new and established bands in the UK's beating heart of music and revelry, Camden Town, on 1st & 2nd June 2019.